Once upon a time, a humble click of a button could send a web service live. A couple of e-mails out or a post on a message board might be sufficient to draw the interest of a few early adopters. No longer. Somehow, somewhere along the line, certain startup launches and demo days have become more like celebrity-studded movie premieres or gallery openings. We all go and gawk. We might stay. We might leave. But we’re all there for a show. And nowhere is the shift of technology industry from mainstream culture’s periphery to its center more evident than in the story of Sean Parker and Shawn Fanning — who are debuting their much-anticipated (and more family-friendly!) version of ChatRoulette today. 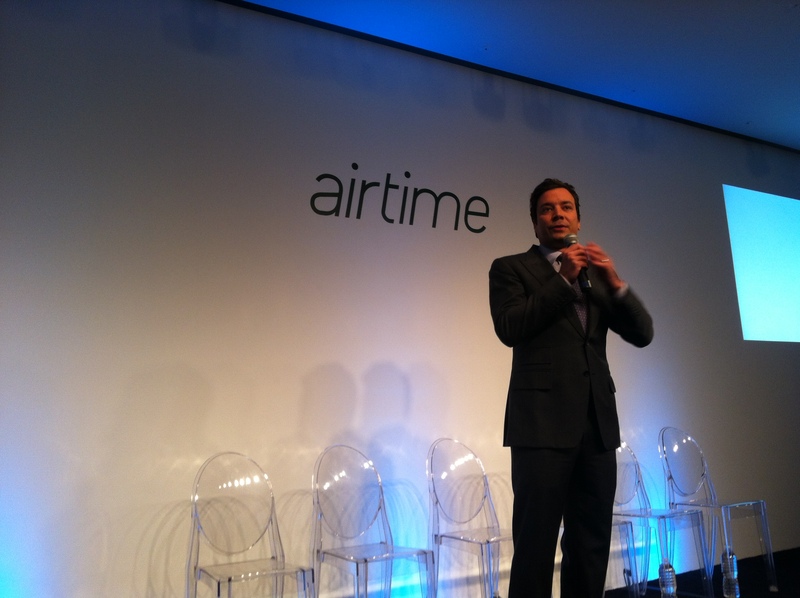 So sorry to leave the Airtime event early. Very interesting but have to catch a plane to Japan! 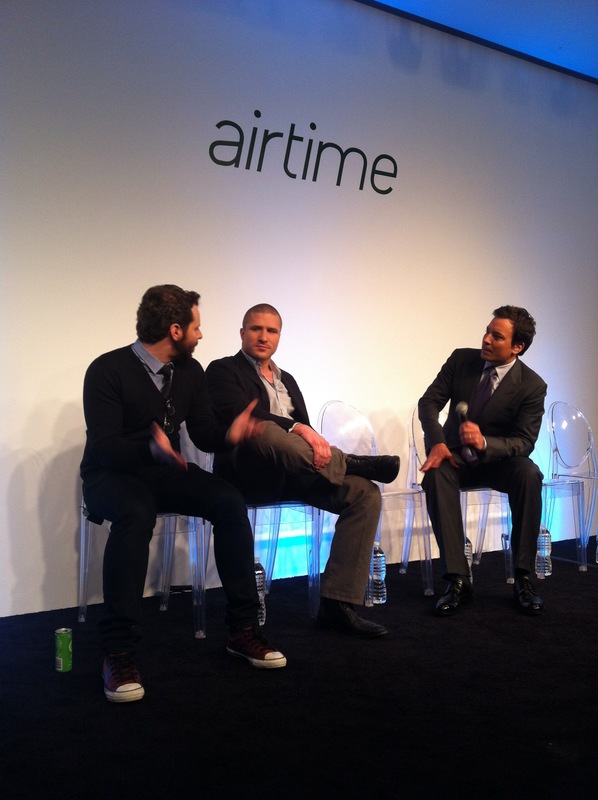 “They’re the Jean Claude Van Damme and Dolph Lundgren of the Internet,” Fallon said, bringing them on-stage. 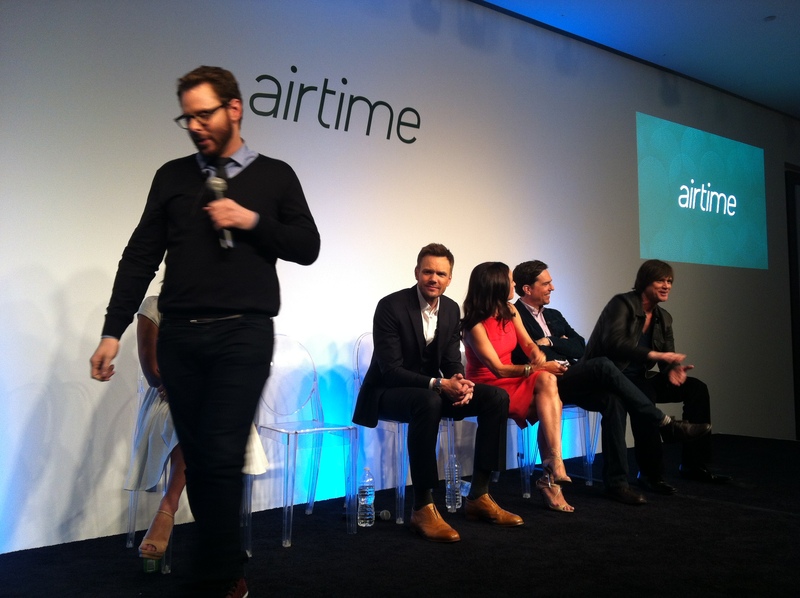 Parker’s first call on Airtime during the demo was to television host and model Olivia Munn. The second was Snoop Dogg. In a later call, Helms tried to dial Airtime’s headquarters in San Francisco. But they didn’t pick up. “Your own office isn’t answering? !” McHale joked to Parker. They didn’t show off the real, live mode where you’re paired with strangers. Even though the packaging their work comes in today is far more extravagant, Airtime is still weirdly true to Parker’s and Fanning’s teenage selves. “We felt like the only people in this world who had an interest in screwing with other people’s lives,” Parker said of originally meeting Fanning.